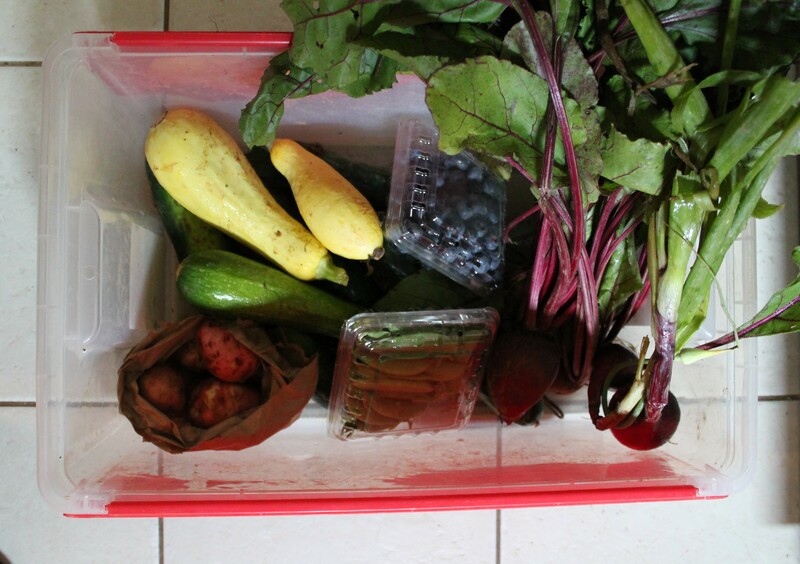 When I got started with the CSA membership, I was eagerly anticipating trying new foods. I am a fairly picky eater, but as a vegetarian, produce is my domain! The only actual new food I received was garlic scapes! And they were delicious. I made a yummy vinaigrette (oh, and a not-so-yummy barley dish…note to self, garlic scapes are very tough and require special treatment). But even though the vast majority of the foods that came through the door were familiar, I was definitely forced to branch out and step out of my comfort zone during this CSA season. For example: I hate cucumbers. But we got 18 of them. Yep, that’s a lot of cucumbers! I am also not a huge fan of green beans, but we received 5 bags full. And I discovered some good green bean dishes—without ever resorting to green bean casserole (yes, I did grow up in the South, but I have just never quite understood casseroles. Feel free to help me change my mind). 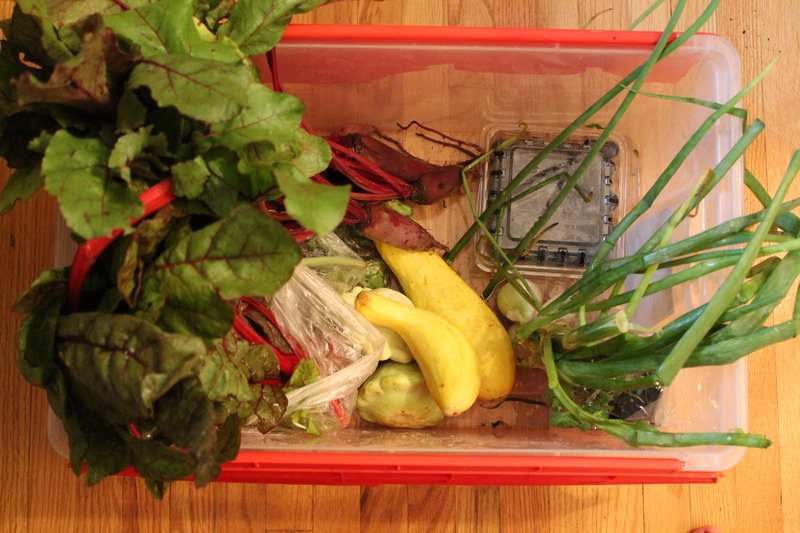 When I first signed up for the CSA, I had no qualms about receiving a box of veggies and fruits each week. Normally, when I go to the grocery store, my cart is half full of veggies anyway! So this would just be like transferring the source of said veg to a fresh, local farm, right? First of all, after about week 3, I began falling behind a bit. Even though I love trying new things, I often struggled to figure out how to use the ingredients together. Sure, it would have been easy to throw everything together in a pot and make stir-fry or curry—which definitely happened more than once. But, maybe partly because of the blogging, I wanted to make carefully planned dishes that would highlight some of the produce well. I wanted to write about things it would be practical to try to reproduce even if you weren’t staring at the same CSA box I was. That often meant that I was focusing on one ingredient at a time…and funny enough, my grocery bills were about the same as they had always been, despite the influx of CSA produce, because I was now purchasing special ingredients in pursuit of using up the CSA produce. Maybe that was my bad. A pitfall of being a food blogger, or a challenge because of how I tend to conceptualize food. I did have a few shining moments where I used up a ton of CSA veggies all in one dish, though, and I hope that if you decide to become a CSA member, you will focus more on making everything work together! In theory, seasonal vegetables should complement each other, and I regret not prioritizing that in my cooking over the last few months. Just remember, the sheer number of veggies and fruits that fit into a small box can be hard to keep up with. We probably received 80–100 lbs. of food from the farm! So have lots of dinner parties. Bring meals to friends. There is almost no way 2 people can eat through an entire CSA share all by themselves! I thought I had a decent handle on what’s “seasonal.” Eat leafy green lettuces in the spring, white-fleshed squashes in the early summer, tomatoes in the late summer, orange-fleshed squashes in the fall. My advice? Throw away your notion of what’s seasonal unless you have already spent tons of time on a farm or eating mainly home-grown food. Each farm focuses its attention differently, and slight variations in climate and soil from farm to farm can make a big difference! Our farm must have an amazing greenhouse, because we got lettuce even in some of the last shares we brought home! I had told myself at the beginning of the summer to try not to buy things I knew definitely were out of season, even if I could find them in the grocery store. So when I stopped finding leafy greens in the box (also known as, the same time I started to accumulate more veggies than I could easily eat), I was so sad! Imagine my ecstatic joy to find the occasional small head of lettuce nestled in a corner of the box, despite in the high heat of summer. Other vegetables that our farm provided abundantly include all types of squash, potatoes, green beans, corn, and cucumbers. Almost all of the veggies we received were delicious and super fresh! I do not like fruit (I know, I know, I’m weird), but the fruits we liked best from the farm were grapes and green apples. Finally, a wonderful benefit of being a CSA member was all of the activities hosted at the farm! We weren’t able to take as much advantage of them as we had hoped (I blame the baby and his mid-day nap), but the times that we were able to go, we enjoyed picking our own produce, eating delicious homemade donuts, and entering Jake in a diaper derby! As a result, most of the fruits we received either turned into baked goods or went to waste. Alas! I will say that our box was packed later in the week, toward the end of their packing cycle, and I could definitely see that having an impact on the size and quality of the fruit they were able to include. A major personal disappointment, however, was with the tomatoes. Tomatoes are my absolute favorite. (Much to my horror, my son literally spits them out every time I try to feed them to him.) My favorite thing in the summer is eating a huge variety of tomatoes, usually on sandwiches with a little bit of spicy mustard and maybe a few thin slices of a nice, Swiss-made cheese. Yum. But our CSA seems to plant only 2 varieties of tomatoes: cherry and beefsteak. The first few tomatoes we got were definitely picked too soon, and they didn’t taste great; the later tomatoes were big, beautiful, deep red, and delicious! I just wished for more variety, and I wished we had started receiving ripe tomatoes earlier in the season! All in all, this was a very interesting, valuable experience. As a result of participating in a CSA, I was stretched to find new ways to prepare foods I normally don’t eat very much. I also had to really buckle down to try to use everything up, so I grew a lot in my ability to plan meals by looking in the fridge and thinking about what was already there! Hopefully that skill will continue to develop and become a real money and food saver for us! If you are thinking about joining a CSA in the future, I have a few recommendations that might help. Think about why you are interested in joining. Is it to make you step out of your comfort zone and try more veggies? If so, then say YES! Do it! But be realistic: You will still need to go to the grocery store or farmer’s market, and you will likely still purchase additional produce elsewhere. Think about how you normally shop for food. If you value carefully examining every piece of fruit or bundle of broccoli to select the very best one, then CSA might not be right for you. Ask the farm(s) you are thinking about joining for a list of the produce they distributed and the amounts during the previous season. Read the list carefully and compare it to your expectations and desires. Is something you hate eating listed in large quantities? Is something you love missing? Each year’s produce will vary somewhat, but the previous year can give you a reasonable idea of what the farm provides and where their strengths are priorities are. Make a plan for how you will eat everything you would receive. This could be as simple as buying a bunch of freezer bags and committing to cut up some of your produce and freeze to enjoy later. Or you could plan to share your abundance with others. But you will probably be disappointed if you have to let some of your loot go to waste! As for us, we have decided to go the farmer’s market route next year. We value supporting local farms and eating fresh, seasonal food—but we realized it is important to us to select our foods ourselves. This will allow us to have some control over not only what we receive, but how much of each item, and what shape it’s in. Hopefully, we will be able to spend less money, eat delicious food, and still challenge ourselves by trying new things! Okay, so that’s my spiel. 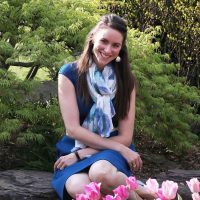 I hope this is helpful or interesting for you if you are considering joining a CSA. And even though we are not currently planning to rejoin, I still very much enjoyed the experience and hope that you consider trying out a CSA membership for yourself! That sounds kind of like my experience, although the fruit I got was always very good. It was just so much and I would fall behind and my creativity was strained. But I learned so much about what’s seasonal and how to use ingredients I had never picked up before. I thought I hated summer squash because I had only had it steamed and limp and lifeless. Now I love it! I think everyone should do it once as a learning experience. I definitely agree! I now have much less animosity toward potatoes and, yes, even cucumbers. 🙂 There will always be a fondness in my heart for CSA, and we may sign up again at some point! Great summary! I agree with all of your points. It’s not for everyone but it has really worked well for our family. Thanks, Tammy! I really enjoyed the experience, and I am so glad we did it! Thanks so much for your overview! I was considering a CSA but realized from reading your post there is much to consider before diving in. Especially on how much food you get! Thanks, Luice! Glad you find this helpful!